SLS: What is Voxnest and Dynamo? The announcement of VoxNest will not impact BlogTalkRadio or Spreaker at all. It just means that Spreaker and BlogTalkRadio have a new parent company behind them and Voxnest is like a birthing a parent from the combination of the two companies and this new parent adopted or acquired Spreaker and BlogTalkRadio is growing up fast to become a serious podcasting tool for serious pro podcasters, networks and media companies. Voxnest is now the largest podcast monetization platform in the market. Voxnest is a new company that caters to publishers of every ilk. Its platform presents a set of podcasting solutions designed to optimize your monetization plan, content management, distribution, and analytics tracking. Voxnest’s podcasting-focused mission is driven by a diverse team of tech founders and podcast and media industry veterans. The company was just recently formed and acquired Spreaker and Blogtalkradio, meaning its native solutions were created by podcasting experts who have been in the space for years, and who have worked on audio content at companies like ESPN, PodcastOne, and Microsoft. The acquisition also means that Voxnest is now the largest podcast monetization platform in the market. Voxnest will ultimately offer a complete set of podcasting tools that can each be integrated into your own professional production process. These tools—Dynamo and the soon-to-come Hive and Cortex— help audio publishers of all grades, from indie podcasters to major media networks, monetize, manage, and track content. Podcasters have long been denied their deserved chance to fully monetize their content catalog. The industry is still plagued by “old media” problems: a lack of communication channels between publishers and advertisers, platforms that lock in content with nonstandard monetization schemes, and episodes that go from evergreen to aging because of stale ads. Podcasting is new media, and we’ve created Dynamo in order to change the game by giving audio publishers the ability to monetize via a new approach to dynamic ad insertion. With Dynamo, publishers can choose to place ads throughout all their episodes at pre-, mid-, and post-roll spots. They can even choose segments to target so that audiences only ever hear ads that correspond to the topics they’re listening to. Furthermore, these spots will refresh with every play, updating with new demo- and geo-targeted ads. What can Dynamo offer you? Dynamo works just like Google Adsense, and it can be adapted to your content and process, no matter the volume of your production outcome. Any level of podcaster can start bringing in profit via your distributed episodes without having to migrate to a different hosting platform. Meanwhile, your content’s quality will stay intact; manage the kinds of ads that appear throughout your episodes and choose target segments related to your topic. Insert the podcast’s RSS feed into Dynamo then take the generated prefix URL and place it in your host provider tools and your media file episode URL’s in your RSS feed will automatically update with a new RSS prefix to enable dynamic ads to be delivered to the insertion points in your episodes. These insertion points need to be enabled via the Dynamo waveform editor. Just slide a bar to set an insertion point in your program. Add smart pre-, mid-, and post-rolls Episodes will be updated with ever-changing ads every time they’re played so that your content stays evergreen. See your revenues grow Earn revenue every time ads in your episodes get listened to, no matter where they’ve been distributed. Refocus on what matters most—your voice and the content you publish. In the meantime, we can keep all those plates spinning for you. With Voxnest’s professional podcasting solutions, you’ll get the condensed, lighter production management workflow you’re looking for. Join our newest podcasting venture and integrate Voxnest’s tools into your process. Dynamo launches today - Add dynamic ad insertion and revenue to any podcast hosted anywhere on any platform. 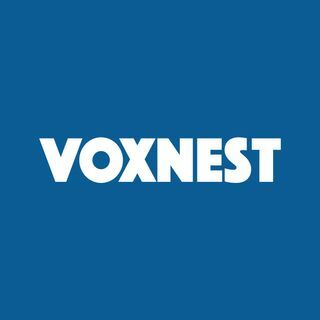 I'm going to be trying out voxnest.com in the next few days. I agree with Alex, going back to manually add midroll ads will be painful for me as well. I have over 150 episodes. I also hope eventually you can set a default for midroll, for example every episode play a midroll ad 10 minutes into the episode. I plan to keep doing baked in ads for the people I know and places I am involved in. Three or four years ago on BTR, we had a show about overcoming addictions and the ads that ran were for vodka and gambling casinos. On the other channel, OTCR, we had an ad run in the middle of a spirituality show for tampons. Letting it choose a mid-roll would be a problem if it chooses to put it in the middle of a sentence or the middle of a song. Hi guys! Congrats on Voxnest! Good evening Rob and Alex!